Driftwood is one of my favorite things. I'm always drawn to it in home decor and when I see it out and about. So when I came across these strands of driftwood on clearance at T.J. Maxx, I scooped them up. They were a great price and I knew I could probably figure out something fun to do with them. I was searching the web for inspiration and came across this DIY chandelier. I was smitten. I think it's absolutely gorgeous and would make such a great statement. I would love to do something similar, but I think my pieces of driftwood are a little too large. I'm still thinking I might do some sort of light fixture, maybe for our breakfast nook? I'll keep you posted on what I come up with! If you've seen any inspiring projects with driftwood I'm all ears! That chandelier is so pretty!! I have no doubt you will come up with some sort of awesome DIY! oh my i love this idea! you can totally rock it! i have seen your skills. I love the DIY chandelier! I can't wait to see what you do with the driftwood. 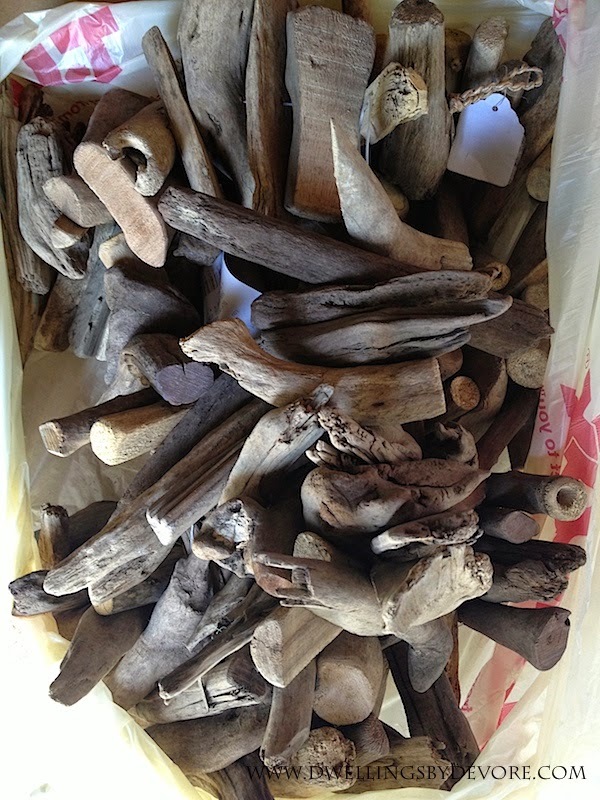 My parents are collecting to make a driftwood Christmas tree this year. So neat! So many ways to use it! I'm drawn to it like you Bethany and have a couple of pieces in my home (like a huge mirror from West Elm), A DIY would be perfect way to go since the imperfections of driftwood do hide 'mistakes' easier. I think though, a ball driftwood chandelier would be easier, Im thinking 2 wired hanging pots as base and adding driftwood as you go along- I think it might just work. Good luck! What if you did a more modern rectangle ones like they do with capiz? 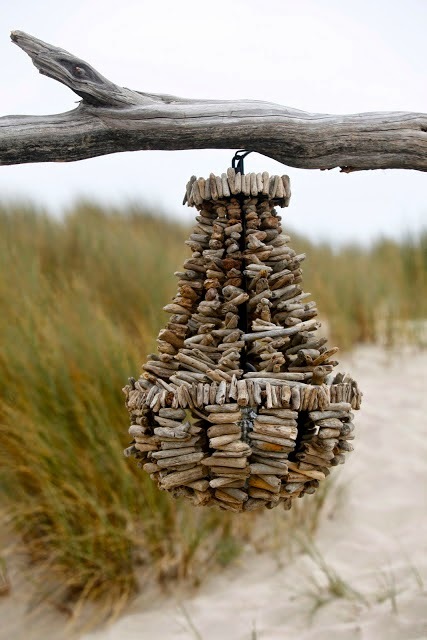 Although I guess modern might be hard to do with driftwood lol - great idea of how to use it! I thought about doing something similar, but in a circular shape. Rectangular would be really cool though, great idea! Thanks Julia! I hope it turns out how I have envisioned it. That's a great idea Vel! I thought about doing a ball shaped one, but didn't think about using the planters that way. I think that might work really well. Thank you!! wow, that will be so cool! Thanks for the vote of confidence Cassie, I hope I can pull it off! 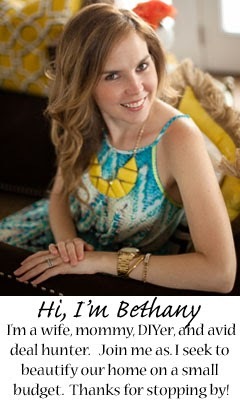 Thanks Beth! I was instantly drawn to it when I saw it. I hope I can make it work! The Restoration Hardware driftwood light would be a great inspiration for this! Good luck! Love the chandelier idea! A few weeks ago, I scored a whole box of driftwood for 25 cents at a garage sale! I'm sure the seller just picked them up off the side of the river and thought I was crazy for buying them - but I can't wait to add them to cute little succulent & grass pots! Hi Emily! Thanks so much! Looking forward to meeting you!